The lead opinion article of Sunday's paper did a good job of reviewing the economic, low-carbon emission and reliable energy benefits to all of the Northwest that come from our Snake and Columbia river dams that our forefathers built. The article also summarized how the concerns about native fish runs and costs of those efforts are being well addressed. However, the article could have also emphasized the huge benefits of the efficient use and control of the river water storage for the very productive agriculture industry and the beautification of our near-desert natural environment in Eastern Washington and Oregon. Instead of having what a little relatively unproductive dry land farming can provide, we and much of the U.S. benefit from the jobs and the widely varying produce of our irrigation agriculture. And I love living in the beautiful green environment of our neighborhoods and parks that the efficient use of the river water provides, making the desert "bloom." Finally, I'm thankful for the low-cost energy that keeps our houses and apartments air-conditioned cool in summer and warm in the winter. 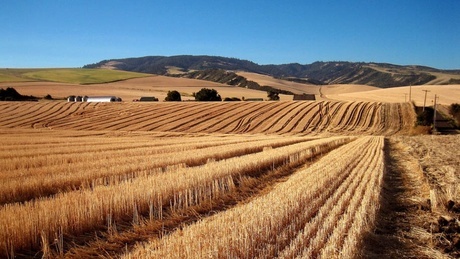 "little relatively unproductive dry land farming can provide" Huge portions of eastern washington use dryland farming to grow wheat, spring wheat, barley, canola (oil seed), triticale, legumes, and hay. Not everything depends on irrigation!